Kesmar is a tantalizing mirage. It’s hard to believe music this good is even real. The synthesizers swirl on “Up To You” like a tornado approaching from a distance to sweep you away to a magical land of dance and delight. “Up To You” will have you bopping wherever you happen to be when you listen to it: in the street, at your desk, on the tram. The main infectious groove is full of such concentrated disco love that it’s like a time capsule containing only a witch’s love potion. Everything about the song is designed to make your body move and bring a dimpled smile to your face, in particular, the subtle spice of cowbell mixed in at the perfect moment. This track is all about build and release, tension and relief, foreplay and repeated climax. Kesmar’s voice is silky without being sleazy; he comes off like a guy you’d genuinely want to hang out with in the real world. Despite the disco feel of “Up To You,” Sydney-based musician Nathan Hawes, the man behind the moniker, spent the last decade as a folk guitarist. 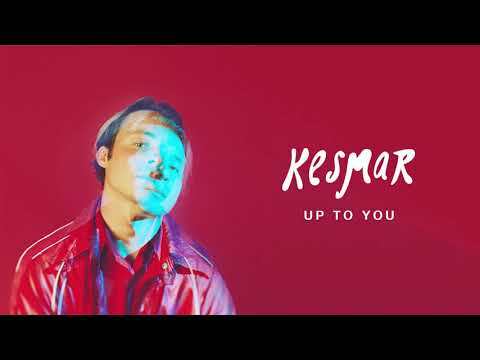 The sound of his new project is sleek and modern and my day has been greatly improved by listening to Kesmar. My guess, your spirits will be lifted too.